In the week leading up to the Trials, I did my best to avoid news of Saturday’s predicted heat. I stopped checking the weather. I started avoiding Twitter and Facebook. But still I unwittingly kept getting reminders of how miserably hot conditions would be. I didn’t want to know. I wanted to PR dammit! I had trained for it, and while I always train for PRs, this one seemed more special/important/epic. This was the biggest stage I’d ever find myself on and I wanted to do well. REALLY well. I wanted a storybook (blog?) ending to my journey. Specifically, I wanted to break 2:40. And as the expected temperatures climbed, my hopes fell. Except I did. My nerves were worse than ever, entirely due to the weather. My PR hopes were clearly going out the window and what I worried about most was how I would deal with that. 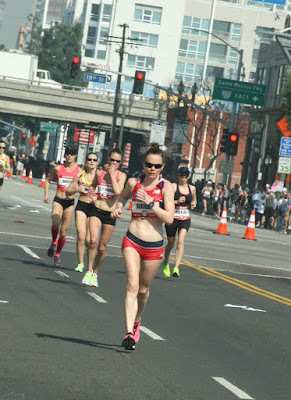 I had so many friends/family/teammates supporting me in LA and back at home (and hello! All of you guys! ); I wanted to make everyone proud. I knew deep down that no one else really cared if I PRed, but I worried I would be so upset with not getting a PR I’d ruin the celebration that the weekend was supposed to be. I didn’t want to be a brat to my family (I never want to be a brat, of course, but seem unable to help it sometimes), I wanted to cross the finish line with a smile, and not collapse in tears like I have every time I haven’t PRed (and even sometimes when I have, but not by enough). I really wanted to enjoy the weekend and was worried the weather would ruin everything. But at least the weather couldn’t ruin the pre-race fun. First up: check in and get our “gift bag.” I pictured some serious swag (other Trials have given away hats, jackets, posters, water bottles). Instead, we got a bottle of Dasani, a bottle of Coke, and a water bottle that said Rio on it. (Cool, but… umm… only six of us will be running Rio…How about something for THIS race?) Do we even get a t-shirt? I asked and the official seemed annoyed, “Apparently t-shirts are a sore spot for the runners.” Um, yeah, have you ever run a race that didn’t give you a t-shirt? They acted like shirts were on their way, but also like they were making stuff up to satisfy me. (Update: it was the latter. April 2016 Update: They did eventually send us shirts.) 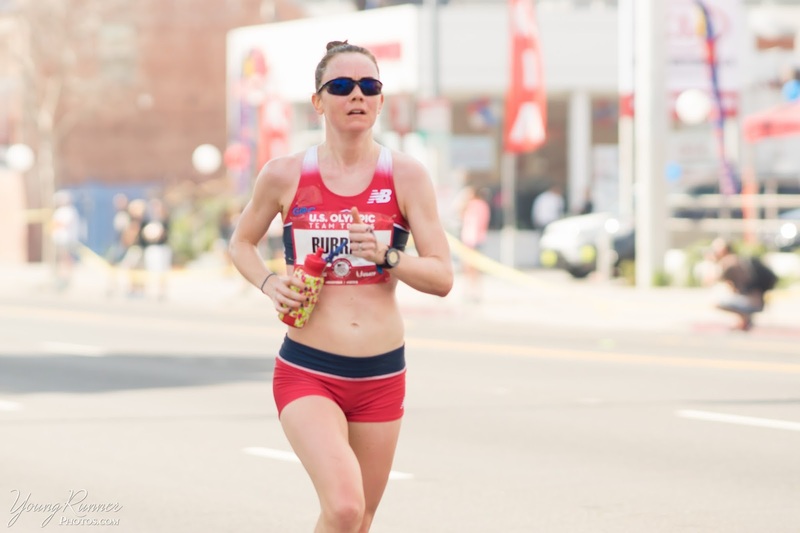 I understand that the top pros probably do not care about a shirt, but the majority of runners in this race (yes, even in this race) are not pros, but people who will list this among their lifetime achievements. We paid our entry, we want a memento. Fortunately, I was cheered up upon leaving the room and running into Kara Goucher, who was staring at me weirdly like she knew me, but probably just because I was gawking at her. C’mon, Teal! Hold your $#!% together. We all know I don’t do well around my idols and I would actually see Kara again about ten minutes later and repeat this interaction exactly. Thursday night we went to an athlete’s welcome party at the California Science Center. Brazilian dancers greeted us at the door and we strolled down a red carpet into an exhibit where the space shuttle Endeavour hung from the ceiling. We feasted on a carb-heavy buffet as Meb made a speech urging us to believe in ourselves, and when Meb tells you to believe in yourself, you listen. On Friday morning Husband joined me for a shake out run that involved scoping out the Grammy preparations. (The Grammys were Monday night at the Staples Center, i.e. next to the hotel and the start/finish line.) It was fun to get a glimpse of the space that I’d see on TV, swarming with celebrities, a few days later. I was still avoiding all updates about the weather, but that gig was up that afternoon. At the mandatory athlete meeting, they started the show with a run down of the hour-by-hour predicted temperatures. (I suppose ignorance isn’t exactly smart at a hot marathon.) They did tell us they were adding sponges to the course, so that was good news. The better news was our bibs: I had been hoping for a personalized bib (treatment usually reserved for the pros but given to everyone in 2012), but after no t-shirts I had my doubts. But the organizers pulled through: a personalized bib for everyone! It’s dumb how happy these little things make me, but that bib (my one memento) will be framed. Slowly, over the course of the day, and everyone saying repeatedly, “It will not be a PR day,” I began to accept the inevitable. My PR goals slipped out of my desperate grasp. My new goal became to take whatever God gave me on that day and see where that put me. After a few miles I would know. I planned (hoped) to accept it. Saturday morning I woke up too early, mostly due to jet lag, and because the race was so late in the day that everything was too early. I tried to stall eating breakfast and killed time watching E! News. (Weirdest marathon morning ever…) Finally it was time to get ready, put on my fancy bib, blast my pump up music. As a final touch to my race day outfit, I added Lauren and Nina’s names to my hands. 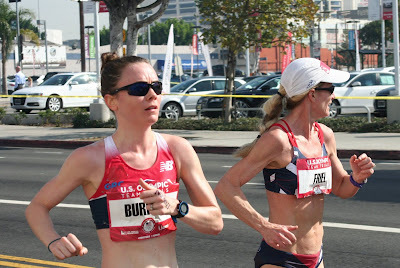 (USATF has so many uniform rules that our normal patches weren’t allowed. I reasoned that writing on my hands would be more special and more visible to me mid-race.) Lauren and Nina were two of the toughest runners I’ve ever met and I knew if I just tried to channel their grittiness, I’d get through whatever the day brought me. I get by with a little help from my teammates. Then it was off to the starting line. Crowds were already out and race staff had to hold them back to let Galen Rupp out of the athlete’s area to do his warm up. Then they held the crowd back as I walked in. Little old me! Getting the star treatment. Later I did a short warm up on a stretch of road blocked off and surrounded by gawking spectators. I felt like a celebrity. Soak it in. On my way to the line, I shoved some sponges that had been soaking in ice down my sports bra (the poor man’s cooling vest). Standing in the holding area, I dunked extra ice cubes down my back and poured water on my head. My efforts cooled me for about thirty seconds. After the men came through (they did a 2.2 mile loop before we started), we were taken to the line. And in seemingly no time at all, we were off. I tried not to start too fast, just stay relaxed. But before we passed the first mile marker, my Garmin buzzed. Arrgg, stupid Teal! I usually turn off the automatic lap feature, since the GPS isn’t 100% accurate and it gets more and more off as a marathon progresses. Instead, I prefer to hit the button at each mile marker, but I had forgotten to program my watch for that. What a rookie mistake! I’m toeing the line with the pros and I forgot how to work my watch. Forget the watch. I’d go off the clocks stationed at each mile marker and calculate the splits in my head. I came through mile two at 6:16 pace, which I took as an okay sign. But right then, immediately, I knew time was of no importance. While I had hoped to start conservatively, knocking down to 6:06s (sub-2:40 pace) just didn’t seem in the cards. But I was also immediately at peace with this. I was taking whatever God gave me, which was “not a PR day.” The larger goal had always been to enjoy this race, so I was going to do it. Forget the time. After an initial 2.2-mile loop, the rest of the course consisted of a 6-mile loop we ran four times. Most of the 6 miles was an out-and-back on Figueroa Street. On any given sunny day, if you stand at the corner of Olympic Boulevard and look north up Figueroa, you’ll see a shaded downtown. If you look south, you’ll see endless sun. Except for the first 2.2-mile loop, we spent the entire race on the southern portion. I’m not saying the course was designed specifically to torture us, but it did seem designed to give us a hefty dose of vitamin D and sunburns. I hadn’t driven the course like usual so I spent the first of the four loops trying to get my bearings. Team Teal was out in force, in bright teal shirts, so the first lap’s goal was to find where everyone was stationed and wave. For those that know my running style, the second part of that sentence is huge. I rarely wave. I rarely do anything but stay hyper focused, staring straight ahead, with a severe case of RBF. 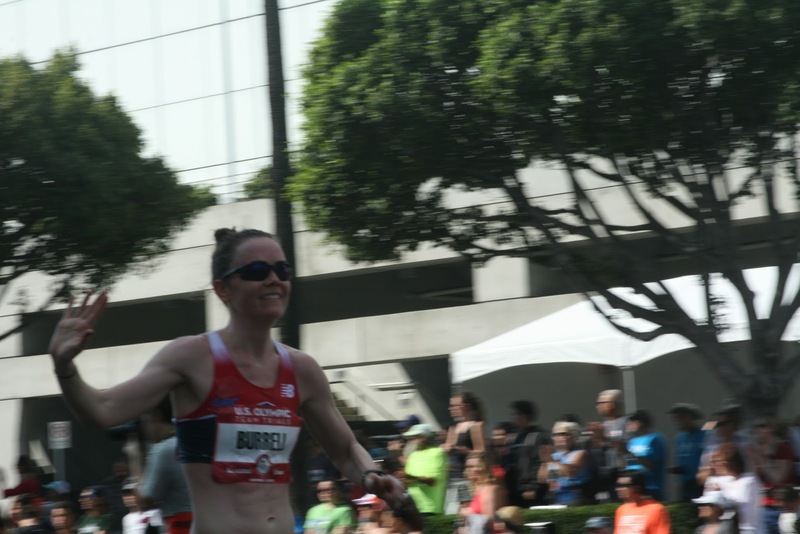 But for the first half of the race, I waved at all my wonderful supporters—friends, family, teammates, Loopsters. I hoped I could show them some sign of my immense appreciation that they were there. And convey my goal: I’m going to enjoy this race. As much as possible. 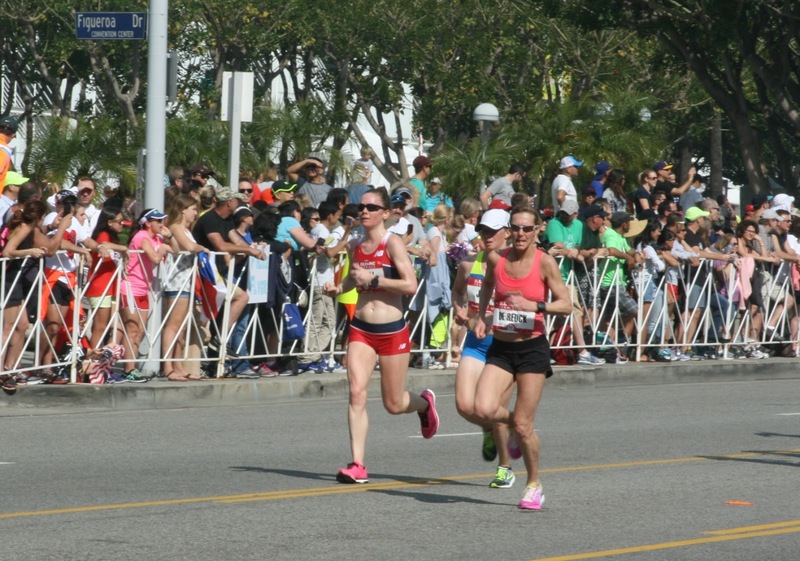 Photographic evidence of a mid-race wave. Before the race, lots of people talked about the many turns on the course, most of which were down near the USC campus and Exposition Park, the southern most part of the loop. Honestly, the turns weren’t so bad and this section of the course had the most shade, which was incredibly welcome. The real obstacles were curbs to hop on and off of, a sandy section, a crowned road, a clock stationed in the middle of a curve such that one volunteer’s job for the entire race was telling every runner (four times each) not to hit their head, and a smell of horse manure. But a little shade! Ahhh shade. Besides finding all of Team Teal, lap one was also spent trying to find a pack to stay with. 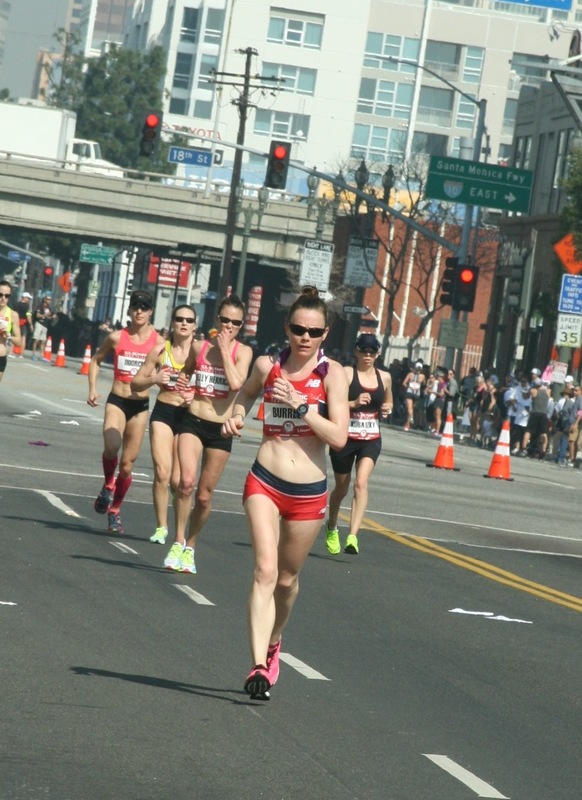 Around the turns at USC and Exposition Park, I found myself side by side with Rachel Hyland who I had met briefly at Jacksonville. It seemed like a friendly pack going just the right pace, so I tried to tuck in. At each water stop, though, the pack got broken up. Despite my complaining about the non-t-shirt, the late start time, and the weather (alright, that last one is not entirely the organizers fault), the water stops were well organized. There were over 200 women in the race, all wanting their unique blend of fluids/gels and they accommodated by having the longest elite water stop in the history of water stops: 25 tables with 8 bottles at each table, each bottle spaced a foot apart. (Plus an identical set up for the men.) 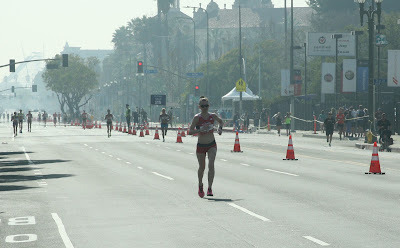 Compared to the mass mess of water bottles at CIM, it was a complete breeze to get my fluids. I just had to look for the 8th bottle on the 12th table each time. Near the U-turn at the top of the loop (by far the worst of the turns, we really just turned around a cone), I heard people cheering for Colleen De Reuck—a four-time Olympian, world record holder, and, at 51, the oldest athlete (aka the most indomitable) in the field. I glanced to my left: oh my gosh, I’m running with Colleen De Reuck!! See how awesome this race is? Enjoy it. New pack goal: stay with Colleen. I had been calculating splits in my head purely to distract myself. I wasn’t analyzing over/under for any particular pace. When I came through ten miles right around 1:02 I realized I was running 6:12 pace. 6:12 pace? 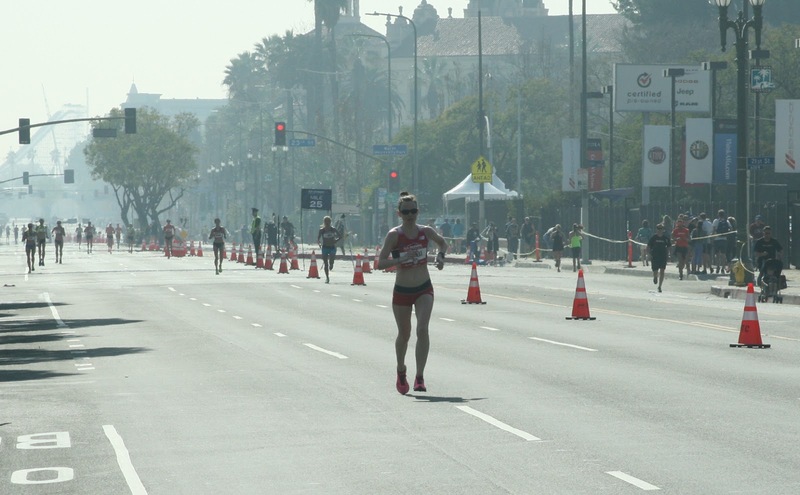 That’s CIM pace! Is my math right?? [Recalculates approximately eight times…] If I keep this up I could PR. Even a one second PR is a PR, which would be amazing given this day... For a shining moment a little hope came back. But then mile 11 was the slowest yet and mile 12 wasn’t great… and it snowballed from there. At halfway I saw I was on pace for a sub-2:44 but: That is not a PR or anything and who the fudge cares. It’s freaking hot and this is not a PR day. I didn’t look at the clocks at all after that. Around my mile twelve or thirteen, the men started passing me. I’d been excited about this moment: my first chance to see how the men were doing and possibly be on TV for all my supporters back home. Tyler Pennel came by leading Meb and Galen. A little while later (it actually seemed like a long while), Jared Ward came flying by. On the TV, they cut to commercial just before I make in on screen. My one moment of fame: gone. In this stretch, I also managed to lose my pack (including Colleen De Reuck). Things were taking a turn for the worse. Miles 15-20 are often the hardest mentally. The miles have started to accumulate in your legs, the adrenaline is wearing off, and still you’re so far from the finish. I knew going in that the four-lap nature of this race would make this exponentially worse. Two laps down and TWO WHOLE LAPS TO GO. Oh God, I have to do this entire thing, from Dumb Cone Turn Around to Shady Horse Smell TWO MORE TIMES?? Dropping out enters my mind in every marathon (umm hello, marathons are effing hard) and it certainly did in this one. I wanted to stop and just hang out with my support team. Take a load off, have a cold drink, end this nonsense. But even as those demons started talking I knew I wouldn’t. I couldn’t. This was THE TRIALS. I did not work for seven years to make it here, fly my overly enthusiastic and supportive family to LA, and train my behind off to drop out. I wasn’t injured. I was hot, but not in obvious grave danger. I could still put one foot in front of the other. And so I would. I thought about Lauren and Nina a lot. I wanted to make them proud, to channel their toughness, their never give up or give in spirit. And I felt like I was failing them. I was slowing down with every mile (maybe? I actually have no idea since I wasn’t looking at splits, but this seems almost assuredly true). They would have toughed this out better. But I would finish. I could at least do that for them. One foot in front of the other. I was trying to stay hydrated as best I could. One common critique of the organizers is that they should have added another water station given the day’s heat, but I tried to counter this by carrying my bottle for much longer than usual. The water stops were about three miles apart and I carried my bottle for a mile or two each time. I had filled them much higher than usual and still nearly finished most of them. The liquid was hot and gross, but I was desperate not to repeat Boston 2014 and get wildly dehydrated. With "sponge" (purple rag) on my shoulders. As I passed by the start/finish to head out on my last loop I saw Meb draped in the American flag. I never doubted he would make the team (I assumed the three I had seen together had all made it—Tyler, Galen, Meb) but seeing him in the flag still gave me a boost of happiness. The last lap is like a victory lap. That’s what I told myself before the race and during the third lap. The third lap is the hardest not because it gets easier on the fourth lap, but because you’re closer to the finish and the mental battle lessens slightly. This is the last time I pass the sponges going this way, the last time I see my cousins on this side of the road, the last time I go through USC… Enjoy it. Or—more realistically—just keep going. I can’t give up once I make it to twenty miles. It’s too close. Finish it. The top three women zipped by going the other direction when I was approaching the water stop between miles 21 and 22. Almost too late I realized I might miss grabbing my bottle because I was so desperate to see where Kara was. I did manage to both get my bottle and see Kara, a minor victory 22 miles into a slog fest. I also told myself before the race that I would try to pick people off in these miles. Who knew what my pace would be like, but if I could focus on trying to catch anyone near me that might keep me going. Only it didn’t. Not at all. I did catch a few people, especially on the last stretch up Figueroa, but it didn’t seem like a victory—it wasn’t my doing, but their unraveling. Again, Lauren and Nina entered my mind and I wondered if I was doing enough. But all I could do was finish. I was still hoarding my water bottles, reluctant to get rid of the last one even though I was less than 2 miles from the finish. 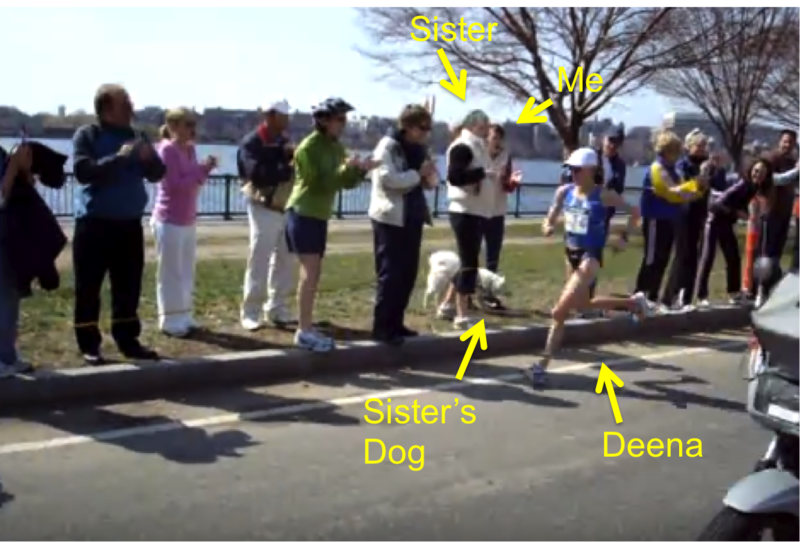 My aunt has a video of me from this section and it’s embarrassing to watch because I am honestly JOGGING. At the mile 25 marker I looked at the clock for the first time since halfway and realized I was on pace to finish just over 2:50. Huh. I was actually pleasantly surprised it wasn’t slower, but the time meant nothing to me. I still grabbed sponges at the last station, with maybe a mile to go. I was that desperate for relief, even so close to the end. Going into the last out and back my hands started tingling, reminding me of Boston. It doesn’t matter, I’m almost there. I’m going to make it. Finally I made the last turn. I gave my thanks to God, kissed my hands for Lauren and Nina, and finished. I grabbed a water bottle, stole a bag of ice, and then shuffled my way over to get my bag. I passed Kara trying to talk to the media through her tears and I felt for her. But surprisingly—shockingly—I was not in tears myself. 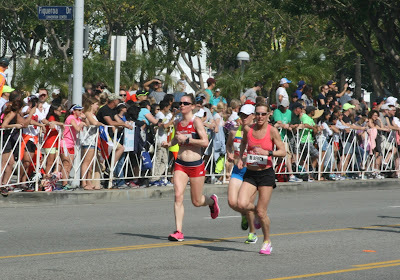 I had not run my goal time, or a PR, or anywhere close to it, but I was keeping my head up high. Well, keeping my head as high as I could, given I was alternating between feeling extremely thirsty and debating puking. 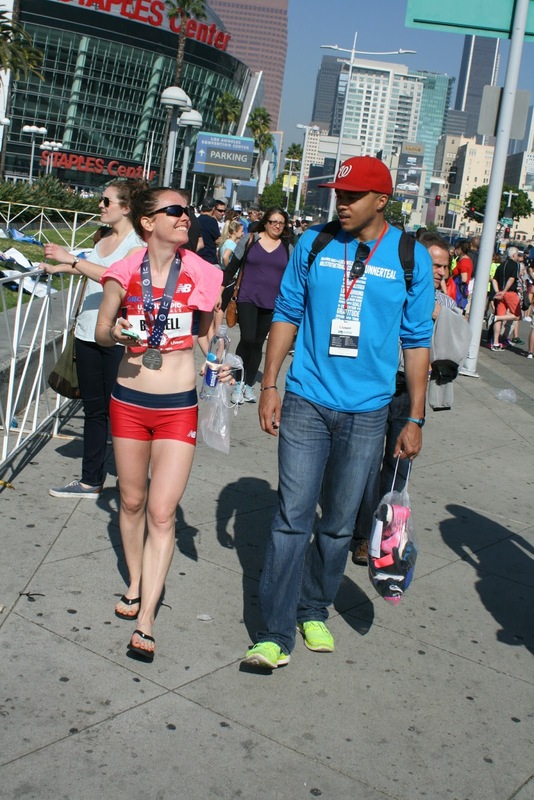 I stood pointlessly in the athlete’s area for a bit while I tried to figure out what to do with myself, and then finally found the strength to grab my bags and find my family. But my number one goal was to make it through this season healthy (check!) and to enjoy this race (check!) Honestly, my biggest regret is pretty silly: I never once looked up at the LA Coliseum. We passed it four times on our Exposition Park loops and, as a huge Olympics nerd, I had been excited to see it. We even looped back so we were running directly at it. I just never looked up. The first lap I was busy figuring out where I was going, but I have no excuses for the other three laps. 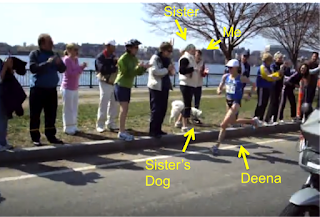 For all my “enjoy this race” attitude, my smiling and waving, I still was too hyper-focused to take in the scenery. I guess some things never change. But one thing changed. Later, my friend Kyle would update the Salty Running group about seeing me shortly after the finish and sum in up perfectly, “Best of all, she was SMILING.” Mission accomplished. Walking to lunch with Husband. Alright guys, this is it. You’ve been reading this "Miles to the Trials" blog and here we are: the Trials are Saturday. What will happen at the Trials? We’ll get to that in a few days. But for now, what about that other part: the miles? Through the years, you’ve read about the doubts, the disappointments, the hope, the triumph. But I’m sure you’re wondering about the nitty gritty of those miles in this blog’s title. Specifically, how many were there? First, there's the question of where to start. With the first mile I ever ran? The four laps around my elementary school fields, where I beat the boys and got made fun of for trying? Or maybe the ten miles—my first double-digit run—I did while home from college, when I realized maybe I’d like to run a marathon one day. Mildly freaking out before my first marathon in 2005. 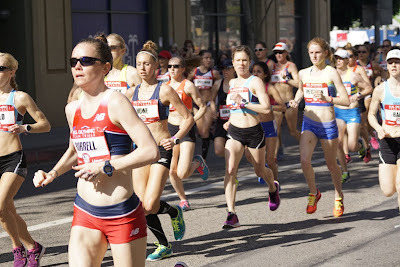 From the spring of 2009 until now—through nine marathons, two injuries, five moves, starting and finishing graduate school, getting married, joining a team, and starting this blog—I’ve logged 14,655 miles* to the Trials. *TIP: If you are planning on qualifying for the Trials, writing a blog about how you did it, and then deciding to count the miles it took: KEEP VERY DETAILED RUNNING LOGS. I did not always take that advice so this is (at best!) a rough guess. If you are just starting out and have no idea how much you might slow down for a longer distance or speed up for a shorter one, they can be useful tools. They are based on lots of data, averages from thousands of runners. But they don’t represent every runner. Especially this one. 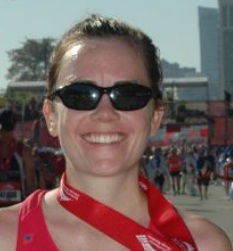 I’m a marathoner: so purely and completely am I a marathoner that I run nearly the same pace for all race distances. If I put my PRs for shorter distances into any calculator, it tells me I should not be capable of a Trials qualifying time. To illustrate this point, I put some race times from the fall of 2014 (the season I qualified) into a couple of calculators. In November, one month before my goal marathon, I PR-ed in the half, with a 1:19:28 on a hilly course. 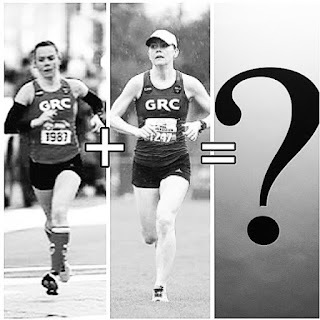 McMillan’s Calculator says that translates to a 2:47:14 marathon. Slate’s, which claims Runner’s World’s is inaccurate, also takes into account weekly mileage and how difficult the half course was. It says 2:51:30. Slate’s also gives an option for two recent races, so I recalculated to include the ten mile race I ran that October (in a then PR of 1:00:19). That slowed me down to a 2:55:50 prediction. In reality, I ran 2:42:13. There are some caveats here. A major one is that I set my season up to peak for the marathon and kind of race myself into shape with the shorter efforts. My PRs from other distances come earlier in the season and aren’t my target races. The calculators don’t know this and obviously can’t take it into consideration. But another major thing calculators can’t take into consideration? Who you are as a runner. While these calculators are based on averages, I suspect there are a lot of runners out there who excel at one end of the spectrum. If you prefer the 5K, the calculators might not give you an accurate marathon prediction. If you prefer the marathon, your predicted 5K time might be way off. (In the 5K, I should be able to run two minutes faster than my 5K PR.) It’s just not reality that everyone’s times scale up the same exact way from the 5K to the marathon. However, it is true that the closer together two race distances are, the more accurate the calculators will be. Entering your 5K time should give you a more accurate prediction of your 10K time than your marathon time. That’s why, in the case above, I used my half marathon time instead of my 5K. But it was still way off. If you rely too heavily on the calculators you might unnecessarily become discouraged. Sometimes people tell me they’re impressed I went for the standard, given my half PR. It seemed gutsy and unrealistic. Maybe it was, but I didn’t think so. I was running PRs across the board and hitting the pace I needed to qualify during long solo runs. Why would a calculator be more accurate than actual, individualized data? Why would an online calculator know me and my potential better than me? Had I relied on these calculators, I would have talked myself out of it. Of course, the calculators can also be encouraging, perhaps giving you reason to shoot for a new goal. Maybe I should take on their challenge to get my 5K PR down. But if I end up with a new PR that’s still not as good as the calculators suggest, does that mean I failed? No. It means I’m a slightly speedier marathoner, but still a marathoner. My advice is to take the predicted times with a grain of salt. Don’t give these calculators more credit than they deserve. If they encourage you, awesome. If they seem way off and tell you that you can’t do something you already have, or even just slightly discourage you, ignore them. They are generalizations, averages. They don’t apply to every runner. So I haven’t put any of this season’s times into a running calculator, because I honestly don’t want to know what it would tell me. Clearly the formulas think I can’t run a time I already have. But I do know how my paces in training and races compare to the ones I’ve hit in the past, so maybe I’ve learned to form my own calculator. And that one predicts a PR, which seems like a good answer to me.